A 4-point weekend for second place Whitley Warriors saw them gain ground on leaders Blackburn Hawks. The Warriors won 1-2 away at Solway Sharks on Saturday night and then beat Sheffield Senators 3-1 in the North East on Sunday. The Hawks had made a good start to weekend by hammering Billingham Stars 10-0 in front of a bumper 950 home crowd. They outshot the visitors 55 to 24 and the goals and assists were shared among 14 different players. 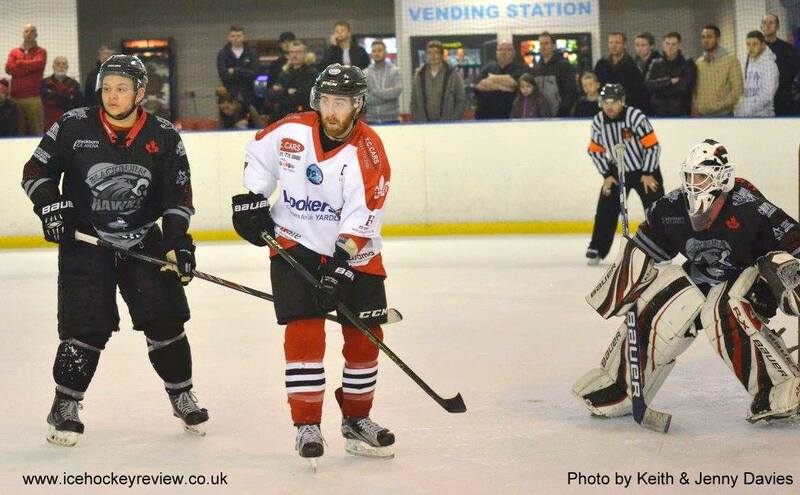 It was a different story on Sunday night away at Solihull Barons who inflicted an 8-4 defeat on the league leaders. The Barons led throughout and, at one point, were 7-2 ahead. Widnes Wild’s player coach and former EPL forward Scott McKenzie guested for the Barons and top scored with 1+3. The Barons also won 1-2 away at Sheffield Spartans on Saturday to notch their own second 4 point weekend of the season. Those results mean that the Barons are now clear in 3rd place – 4 points ahead of Telford Tigers who didn’t play at the weekend. At the top of the table, the Hawks lead by 5 points but second place Whitley have one game in hand. 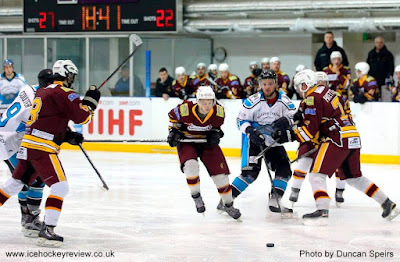 In the other Moralee games of the weekend, Sutton Sting picked up back to back wins over iceSheffield rivals Sheffield Spartans, winning the “home” game 7-3 and the away game 2-7 and Solway Sharks won 4-7 away at Billingham on Sunday.